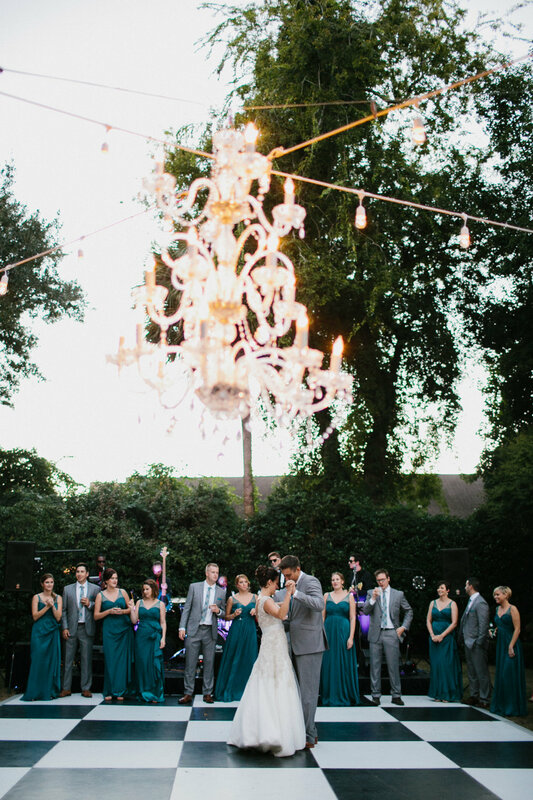 Andria + Matt came from Ohio to have their Thomas Bennett House Wedding in Charleston, SC. 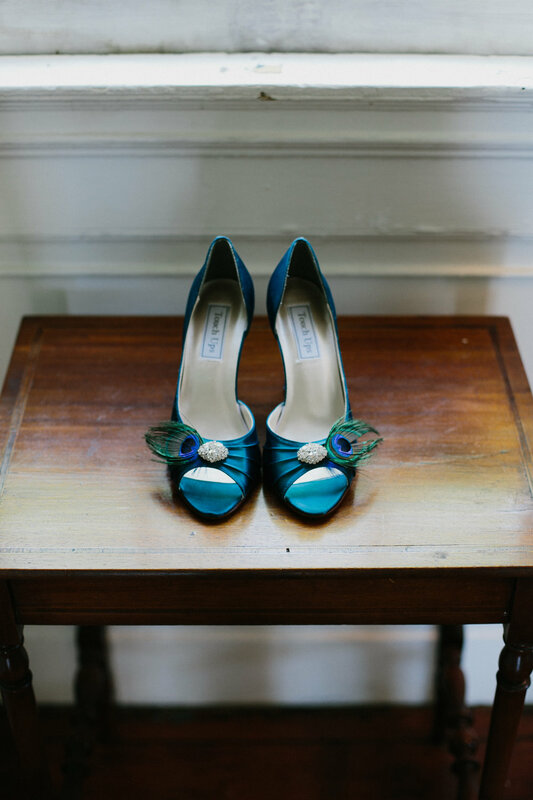 The brides design inspiration came from the colors of a peacock, and the love for all things emerald. It was the most beautiful fall October day, with dining al fresco, a delicious meal served by Salthouse Catering, followed by sweets by Gala Desserts. 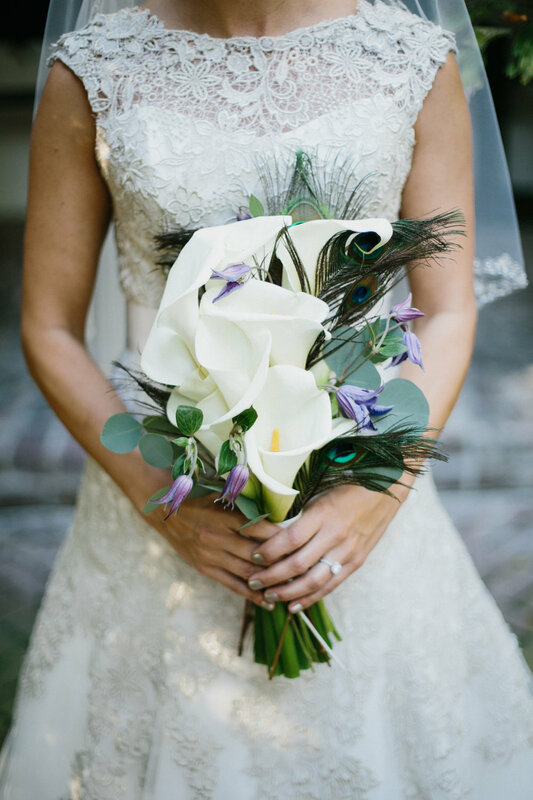 The bouquet by Branch Design Studio was full of white calla lilies, peacock feathers, and greenery. 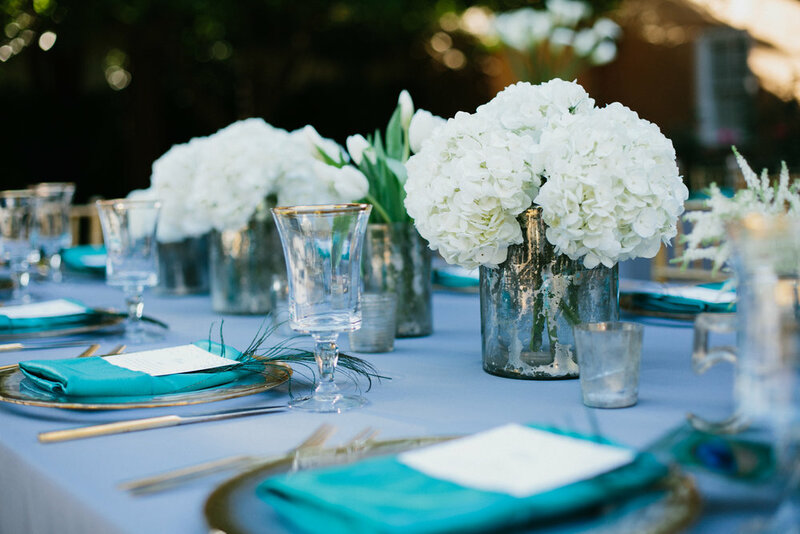 Clusters of hydrangeas, tulips, and garden roses filled the tables with a of gold and candlelight. 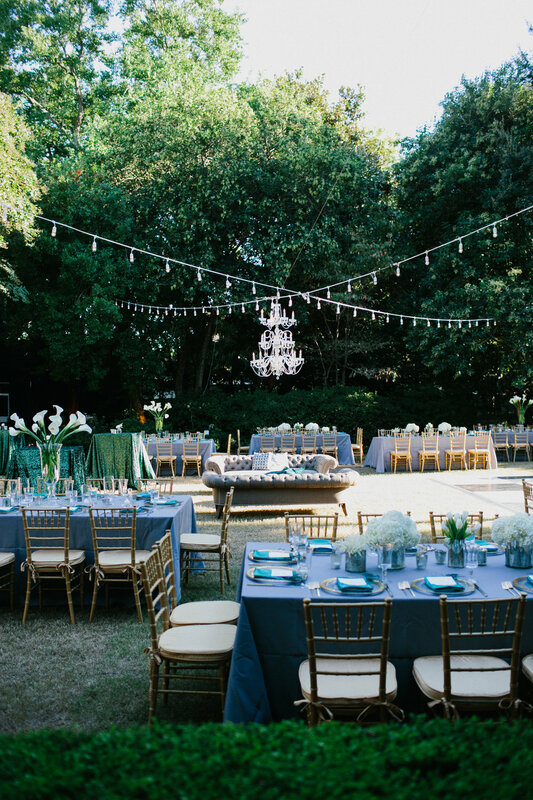 Sparkly linens, lounge under a gorgeous chandelier, and a DIY photobooth are just a few of the fun details! The bride and groom and their guests rode off in a rickshaw at the end of the night to continue the party!